Pixar releases second trailer for "Coco"
The animated film company goes deeper in the story with the release of the second trailer. 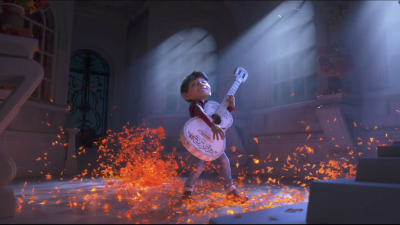 In the second release of the trailer for Pixar's newest animated film, Coco, we see more visuals of the story take place. The young boy who goes by the name of Miguel discovers a magical guitar that transports him and his dog to the "Land of the Dead." There in the second universe, he meets members of his departed family and then discovers the real story behind his family's history.